What (zer)Matters Most. I’m on such a high from the weekend, I can’t decide where to begin. But being married to a social psychologist, I know that human relationships are more important than anything else… so that’s where I will start. 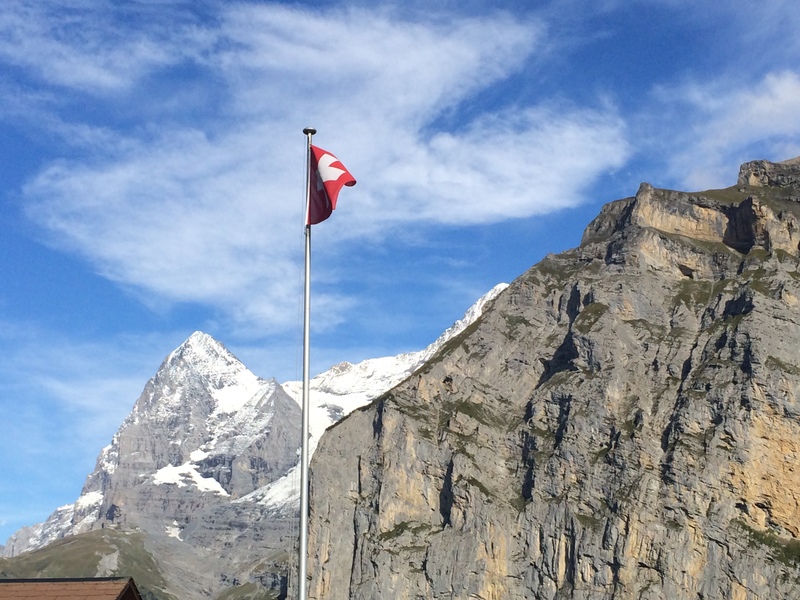 Coming to Switzerland, I admit that my social expectations were low – we had heard that the Swiss were hard to get to know, and that it was hard to break in socially. I have already waxed poetic about Swiss helpfulness, but I continued to be pleasantly surprised throughout the fall when the other parents who came to watch our 11-year old’s soccer games were so warm and friendly, sharing wine, snacks and laughter with us newcomers (see below). I still don’t know if this group of people is truly an anomaly or whether the Swiss just get a bad rap. Perhaps it is what some have told us: that this particular part of Fribourg is especially “village-like.” Whatever the explanation, we have been extremely fortunate to have met people who have been so kind to us. One evening back in October when the kids and I had plans, PapaHatch was dining alone at our local Greek dive down the street, whose proprietor likes to practice his English with us. A man sitting nearby overheard them and asked PapaHatch to help settle a question he was discussing with his sister (how to say “trick or treat” in French). They chatted a bit and soon discovered that their two sons were in the same class and on the same soccer team. By the end of the (second?) beer, this nice man had invited us to join them and a few other families on a ski trip to Zermatt (i.e. the ski resort adjacent to the Matterhorn) in January. WHAT?!? Um, YES PLEASE! The expense of it gave us momentary pause ($30 hamburgers! Really good, but ouch), but we found ways to rationalize it (all weekend speaking French – we can take that from our education budget, right?). Originally designed as a father-son weekend, the men involved kindly allowed me (and subsequently another mom and her daughter) to join. The makeup of the group then was: our family of four, another family of four (one son, one daughter), and two father-son pairs – six adults and six kids. It’s a jovial, fun-loving group. When even the Swiss described Zermatt as the stuff of dreams, it was hard to keep expectations in check, but I could not be happier to say that it lived up to them in every way. Zermatt is adorable, with a glacier-water river running through it and Alpine chalet architecture that strikes the right balance of charming and genuine without the kitsch. It’s officially car-free, but pedestrians do need to step aside for the horse-drawn carriages from the fancy hotels. It’s certainly high-end, with fancy watch and jewelry stores interspersed between fondue restaurants, après-ski bars and discos. But of course, it’s the surrounding mountains that really make it breath taking – particularly the Matterhorn (“Le Cervin” in French) – rising up on all sides. Alphorn sculpture in Zermatt – or would that be Alp(matter)horn? After a fun Friday night dinner (fondue, of course! ), we hit the slopes on Saturday morning (well, three out of four… we lost track of one until we met up for lunch). WOW. What a resort! Zermatt deserves a place on every skier’s bucket list. Vast piste options, incredible views, Swiss efficiency, excellent eating options, and my new favorite place on earth: the Iglu-Dorf – igloos just for fun (and for sleeping in – which our UK friends did over Christmas), a bar, lounge-chairs-aplenty, good music and of course, fantastic views. We got very lucky on the weather: clear skies, mild temperatures, good snow and awe-inspiring scenery. For me personally, I also (selfishly) really enjoyed being a follower. As the one who plans the vast majority of our family trips in great detail, it was complete luxury for me to not have to make any decisions and to just go where I’m told (even better, literally follow the leader). All the Swiss adults in the group knew the ski area pretty well, and one in particular was a most excellent guide for the day, leading us down a great variety of runs – with a really fun “pause” at the Iglu-Dorf and a terrific lunch at Chez Vrony. By the end, we were all exhausted, but it was the best day of skiing of my life. As a side note, I was really impressed and proud of both sons. These guys only learned to ski two years ago (in the U.S. Midwest), and on Saturday, they fearlessly flew down every piste – including several blacks (even when I opted for the easier route when available!) – right alongside their Swiss buddies. We didn’t really do justice to the famed Zermatt après-ski scene, although we did each give it a go on sequential nights (PapaHatch took Friday night; I went out Saturday night). It was fun, but we had left most of our energy on the slopes. We were a bit sorry not to go back for more skiing the next day, but PapaHatch had a flight to catch (a conference in the U.S.) and frankly, it would have been impossible to top Saturday. It was a magical weekend. I will forever be grateful to these kind Swiss families for welcoming us into their world. That’s what the Matterhorn will always evoke for me when I see its iconic image. Iglu-Dorf, best place in the world? Maybe it’s $1 for the hamburger, $29 for the view? How awesome! What wonderful experiences for the boys. What impressed me was that both boys really appreciated the beauty of the surroundings independently in addition to having a blast. All I can say is WOW!!! Great recap. Great pictures. Great captions under the pics!! So glad you’re taking advantage of every opportunity on your Hatchventure!! Thanks – it’s hard to capture! Savoring every moment. Wow. I feel like I’m reading from a fairytale book. What an amazing trip and besutuful pics! I so miss being in Germany w my European friends when I read your blog. Stunning. Including the Corona beer bottles. Who knew they’d be in Switzerland. THANKS for sharing photos and stories. Precious. Treasures. I just started to look at your blog and can’t get over what a wonderful experience this is for all of you but especially your children! These are memories they will reflect on forever! Switzerland is so so beautiful! On another note, is that little black dog at your house your dog or is it the renters? I am embarrassed to say, I didn’t know you were gone! How long have you been gone? Enjoy this fabulous experience with your family. Renee, your neighbor- I finally got my gorgeous flowers.